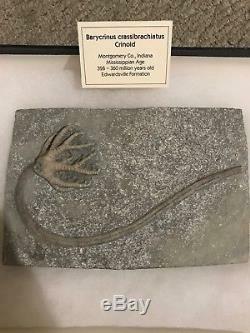 Description: This is an exceptionally well-preserved and large specimen of this Inadunate Cladid crinoid species. The crown and stem are fully 3D, complete and strikingly life-like in appearance. 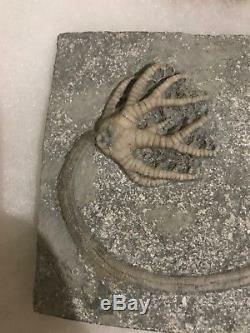 The Barycrinus was meticulously prepared using air abrasion. It lies flat and gracefully centered on a light gray matrix base. This magnificent specimen comes from a high-end collection. 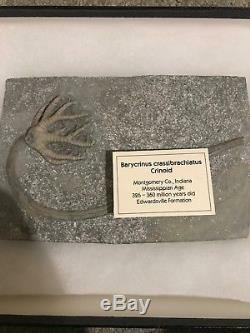 It is from the Mississippian time period 326-360 Million years ago and Was found in the Montgomery County Indiana inside of the Edwardsville Formation. Do not miss an amazing opportunity to own one of the most exquisite fossils on the market. 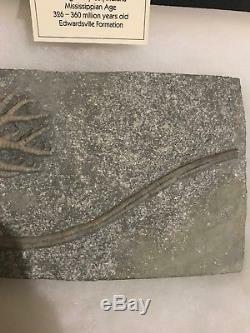 The item "Barycrinus Crassibrachiatus Crinoid. 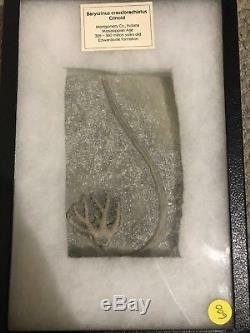 ONE OF A KIND FOSSIL! MUST HAVE" is in sale since Thursday, August 9, 2018. 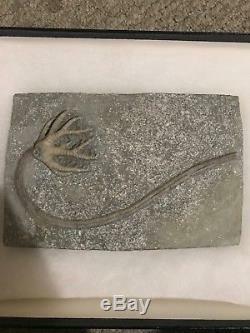 This item is in the category "Collectibles\Rocks, Fossils & Minerals\Fossils\Echinoderms\Crinoids". 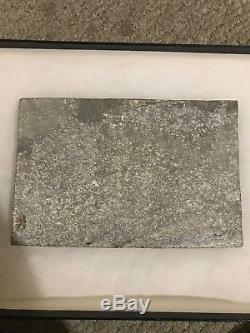 The seller is "stan_1959" and is located in Port Orange, Florida. This item can be shipped worldwide.